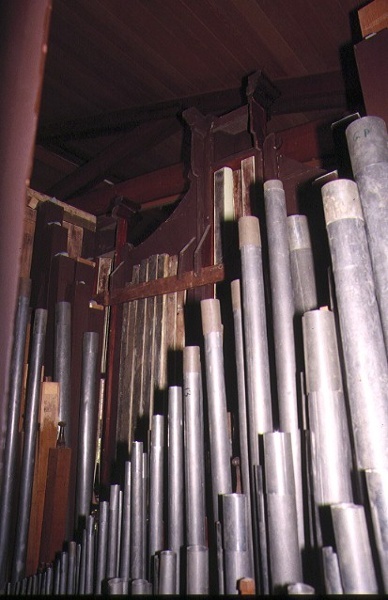 The pipe organ in Our Saviour Lutheran Church, Knox, was originally built in England at an unknown date. The casework is probably of early nineteenth century origin but its pipeworks are very old and are believed to date from the eighteenth century. It was installed in St Patrick's Roman Catholic Church in Melbourne in 1858 and moved to St Brigid's church in North Fitzroy in 1882. 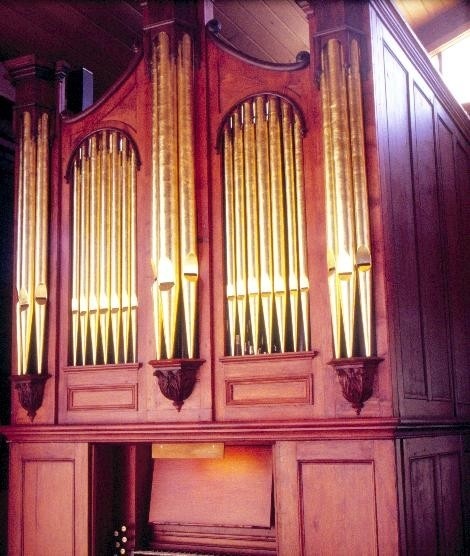 In 1886 it was re-built by renowned organ builder, Alfred Fuller and moved to the Congregational Church in Castlemaine. Following the closure of the Congregational Church around 1987, the organ was installed in Our Saviour Lutheran Church in Knox after a short time in storage. The pipe organ (Our Saviour Lutheran Church, Knox) is of scientific, aesthetic and historical significance to the state of Victoria. The pipe organ (Our Saviour Lutheran Church, Knox) is of technical (scientific) significance as one of the few surviving two-manual instruments in Victoria from the mid-nineteenth century. The organ is important because it represents an epoch in organ building characterised by the transition from the late classical English organ to the early romantic English organ. The pipe organ is aesthetically important for its overall design, which demonstrates a fine adaptation of an eighteenth century design consisting of three towers and two flats with neo-classical detailing. 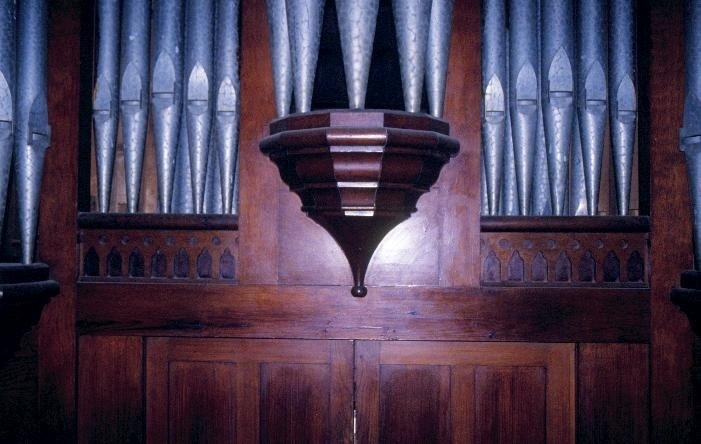 The organ's case represents a rare example of an early nineteenth century style of casework and its pipes are believed to be amongst the oldest surviving in Australia. The pipe organ (Our Saviour Lutheran Church, Knox) is historically important for its associations with religious life in Victoria. In its recorded history in Victoria it has been associated with three different religious denominations. The organ is historically significant as the oldest in the state. Pipe Organ, (Our Saviour Lutheran Church), Our Saviour Lutheran Church, Burwood Highway Knox, Knox City Council. 1. All of the structure known as the Pipe Organ, (Our Saviour Lutheran Church), located in Our Saviour Lutheran Church, Burwood Highway, Knox.